Beat This Caption Contest 84 Winner – Caption Contest Funny Clever Witty Enter Today! I’ll take an M for masturbating, please! I’ve a feeling there is a G spot up there! 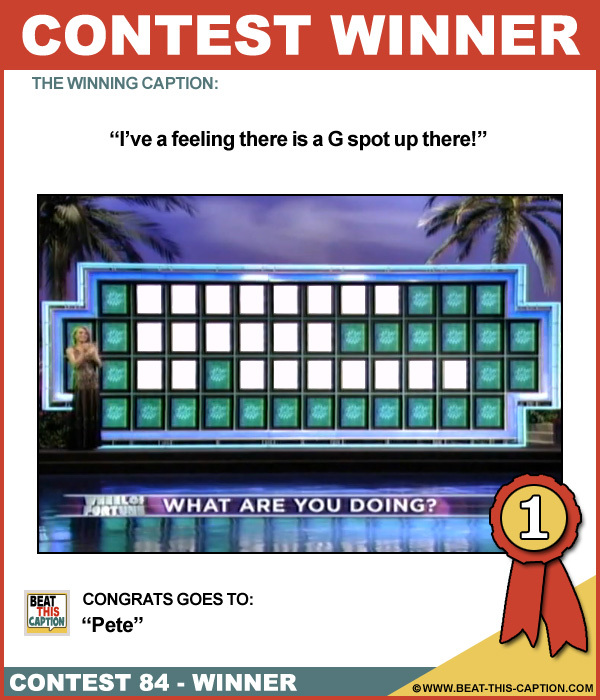 Congrats Pete! We’ve all been feeling that… :) Great Caption! You WIN! Vanna’s had the clap for 35 years! Can I have a P please – I’m bursting! So Vanna, how much ejaculate did you get in the mail this week? No using your penises for pointing, contestants!